Posted in: Recipes. Tagged: instant pot. Remove 24 large outer leaves from the heads of cabbage (take 12 from each). Roll each leaf with a rolling pin gently to flatten and smooth it. Core half the remaining cabbage and chop it very fine. Sprinkle it with the salt and set aside in a colander. In a large bowl, mix the pork, rice, mushrooms, beaten eggs, sesame oil, light and dark soy sauce, Shaoxing wine, ginger, garlic, and a generous amount of black pepper. Stir in the scallions and cilantro. Press and drain any remaining water off the salted cabbage and stir the cabbage in as well. Place a steam rack in the instant pot. Combine sauce ingredients and pour in the instant pot, then place a layer of remaining cabbage leaves on the steam rack. Lay any remaining leaves on top, then cook on high pressure for 17 minutes, then wait ten minutes before releasing the pressure. 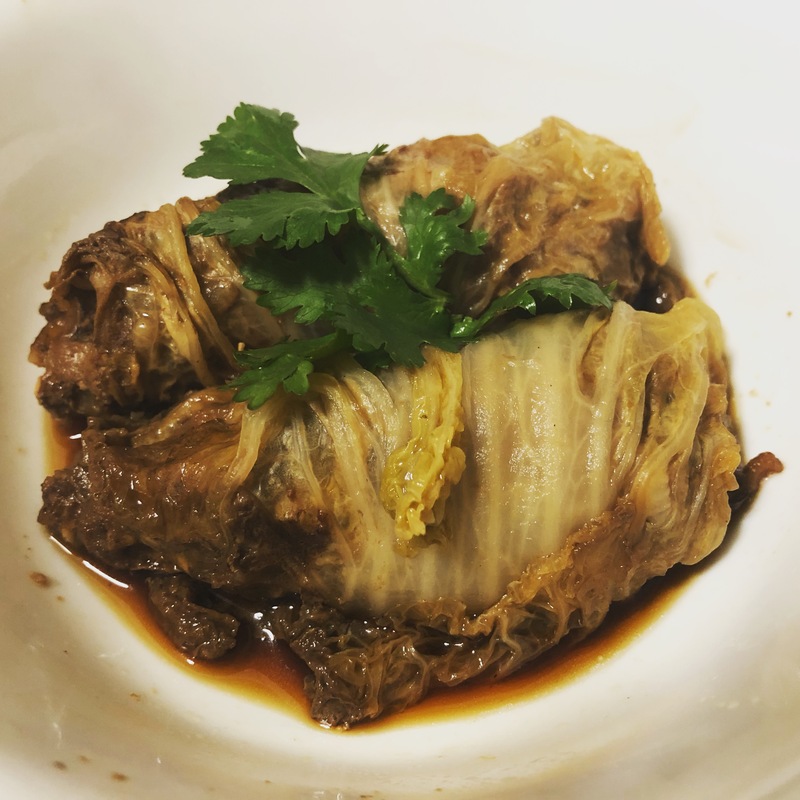 Adapted from Serious Eats: Asian Cabbage Rolls with Spicy Pork.